It all begins with calamity, faith, and a flat tire. Seeking liberation from recent heartache, Kennedy Jackson leaves her hometown and moves to Arizona to work as an interior designer. She thinks she is ready for a new start, but her heart still needs some convincing. When she bumps into a handsome stranger on the highway, she starts the ride of her life on a road of divine design that will lead to her dreams if she only has the faith to follow it. This delightful tale by Rachael Anderson combines wit and romance with the reality that change is difficult, but it can bring about some of life s greatest adventures. 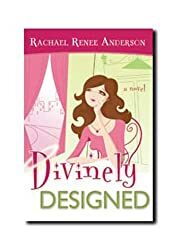 Divinely Designed is a sure antidote for gloom and a light-hearted reminder that even the darkest forks in the road can lead somewhere brilliant. This entry was posted in Authors and tagged giveaway on March 2, 2011 by Mario Lurig. Just a quick note that I review almost every book I read. 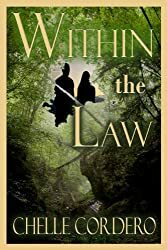 I not only review them on my own review blog, but also on whatever sites I can locate the book on, such as Amazon.com/.ca, Chapters.indigo.ca, B&N, etc. whether I’m required to or not. I feel its only fair especially to those who donate their books to these giveaway sites to promote them. I really appreciate those who make these giveaways possible.